Competitive Esports: Is There a Payoff? I am an attorney and former teacher as well as a mother and wife to a houseful of gamers. People often find it difficult to understand how I could support the idea of my kids becoming competitive Esports players or my 19-year-old son, who scored a 33 on the ACT, foregoing college to pursue a career playing video games. 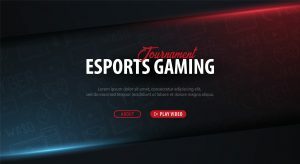 What those people may not know is that competitive Esports is quickly becoming the next professional sports arena with a booming industry that has generated over $900 million in revenues in 2018 and is expected to grow 38% over the coming year. Forbes anticipates the Esports economy will exceed $1.6 billion by 2021.¹ This blog will be the first in a series to help educate and inform prospective pro gamers and their families about the business of Esports, and the potential opportunities and pitfalls of pursuing a career as a competitive player. Living in a family of gamers has led to video games being a big part of my life for the last 20 years. I have watched the technology advance and the gameplay become more and more realistic. At an early age, we knew our eldest son had skills, and his passion and commitment to master every game he played was impossible to ignore. So, when he told us he wanted to take a gap year to focus on becoming a pro Fortnite player, my husband and I viewed and supported those aspirations no differently than if he had wanted to be a professional athlete, an actor or professional musician; all pursuits which require passion, commitment, skill and talent. For a year our son worked tirelessly to hone his skills and improve his gameplay. Those efforts paid off and his dream came true when he won the PAX West Fortnite tournament this past August; a win that would change his life.